Tour included an individual that was not physically capable which caused problems. In addition, that individual was totally inconsiderate in causing the entire3 group to be delayed because he took off on his own and we had to find him. Everything was done extremely well!! The history in all the cities was wonderful. I especially enjoyed the information in Pizza. There was not enough pre trip information for those of us who have never traveled overseas. Once safe with our group the trip met my expectations. Fantastic. From the first class hotel to all the sites we visited and, especially, Sergi, our tour guide. What a jewel of a man. He is witty, funny, concerned, and extremely helpful. We visited small farms and busy cities. We visited iconic sites like Leaning Tower of Pisa and towns I still cannot pronounce their names. Drank a lot of wines that were simply delicious and tasted foods that were unique. Gelato became a favorite dessert. the tour guide was really good. he knew every city really good and knew what shops to go and what food to eat. The trip was fabulous. Alexandre Dorobanto was fantastic including personable, knowledge of tour areas visited as well as her professionalism. I could not have expected a better tour guide. Our bus driver was also fantastic. That being said, the Collette tour information received before the tour, Kevin, gave us some incorrect info. For example, he told us we should exchange US currency to Euros once we got to Europe. We should have made the exchange locally at either AAA or our local bank which would not have charged us for the service. I was charged $28.00 in Europe. He also should have been knowledgeable about the hotel amenities, he was not. In addition, he should have told us about the spa across the street from our hotel as some of us might have scheduled a spa treatment. Also, Collette should have been aware there was an Italian national holiday on Nov 1 which many Italians used as a holiday long weekend. We traveled to Florence on Saturday, Nov 3, and it was EXTREMELY crowded. It would have been nice to visit Florence on a less crowded day. Finally, Collette should have informed everyone we would not be in the U.S. on Election Day in order to get absentee ballots. I did this once I realized it, but Collette should have advised. I did have an issue with one of our return flights being cancelled on the way home which I have resolved. Thank you for traveling with Collette to Tuscany. Your feedback will be reviewed by the Director of Outside Sales in order to improve and enhance the pre tour experience for our guests. Each time I phoned for payment or with questions, the service was courteous and efficient. Norman, our marvelous group guide/"tour manager," needed to help one couple with acquiring their awaited but missing vote-by-mail U.S. ballot for the Nov '18 election, and to help locate and shepherd an elderly lone man who had mobility and memory challenges, as well as to help another man alone after his wallet and U.S. passport were stolen--all during the same one-week trip! I’d like to say 4.5 stars. The only negative was really due to the weather. We weren’t able to go to Cinqe d’ terre and had a trip to Bologna substituted. Not as spectacular but Collette was concerned for our safety so it was understandable. My tour manager Alexia was superb and made the whole trip just wonderful! Loved Pisa, the trip thru a contrada in Sienna and the Gothic line visit. Especially wonderful was our tour managers side trip to the American cemetery. I had never gone on a group tour. The arrangements, the tour guide, and activities were all excellent. EVerything about this tour was amazing. The tour guide, Mattia, was capable, entertaining, and personable. The people on the tour were fun and easy to talk to, and the Tuscany sites were so beautiful and interesting. I would not hesitate to do this again. I know they provided great rates and service for a few people in my group who wanted to add trips before and after our scheduled trip. During our stay there was a cancellation of a great day trip that everyone was looking forward to. The crew in the US put together a great alternative trip in a short amount of time that filled in the gap. The tour manager and driver made the trip so much more fun! We felt that we were in good hands all the way. They met as at the airport and provided insight and information and confidence to travel in this foreign place to us. The small towns with personal guided tours by locals gave us the insiders view. Always willing to answer all my questions. Nice to stay in one hotel for the week. Having tours arranged daily where great. Very efficient. The trip was well planned and organized. Terrific service. Just an awesome tour. Each city was amazing. Local tour guides were excellent. Such charm. Loved the cooking class, cheese farm luncheon, and wine taste. Would book again. Have recommended it to all. I did think the staff were helpful in answering questions and providing assistance. The tours did not include seeing “inside” buildings and museums. It felt as if we spent more time on the bus than actually touring. The tour did not have enough substance. We spent more time on the bus and then just walking past buildings. The tour agent who handled the booking was very inefficient and rude. The tour was well planned and truly enjoyable. I appreciated the preplanning suggestions we received in advance. Thank you for traveling with Collette to Tuscany. All Feefo feedback and written surveys will be reviewed by the Product Design Team in order to enhance the overall touring experience for our guests. Yes I would certainly travel with Collette again. I know they want you to experience alot but I would have also enjoyed some more time that the traveler could use at their discretion ie: to explore local town. My Tuscany tour was amazing. Guide Antonio was the best I have ever met. He kept us on our tight schedule (not an easy thing to accomplish). He was very knowledgeable. Antonio was polite, professional and extremely kind. Tio was a great driver. I felt very safe with him. Very conconsiderate in helping the elderly. Sights were amazing ~ I loved everything. The hotel was ok. It was in an excellent location. It was awesome! Food was excellent. Sights were gorgeous. Cinque Terre was beautiful and it was enjoyed by everyone on the trip. Thank you for traveling with Collette to Tuscany. A member of the Guest Relations Team will be reaching out to discuss your feedback. The tour was well planned. Our gude was beyond knowledgeable and shared so much with us. Our motor coach driver was very skilled and personable. Accommodations were pleasant and included meals were superb. Reasonably priced, this tour was excellent. Optional trip to Cinque Terre was magical. The included meals were a true experience and D-elicious. The tour of Italy was excellent, though the air travel could have been better. Very long layovers getting there. The tour was excellent. Accommodations were good. I loved Lucca and Monticontini was a very nice town. We loved our tour guide Pilar (Cookie) and our driver Franco! All the excursions were first class and educational. All the other specific town guides were so great at the history and knowledge of the that area. It was very fun and we would do it again with Collette! The great stories our tour guide as us of each region. It was a fabulous trip of my life time. 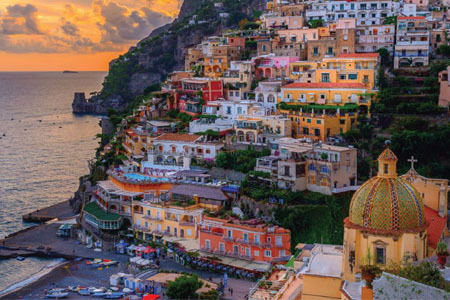 Great sights and destinations. The food and wine and people were terrific! Everything was so organized a head that you knew what you would be doing every minute. Yes. I would go again and have recommended Collette to many other people. Loved all the details we got from our tour guide. She gave us great insight to everything on the tour. The food was out of this world. Great ! Favorite city was Florence. Loved all the history and art works of Michelangelo. Truly loved everything. Collette seemed to care about its customers and helping with any problems that may have arisen. I will definitely book another Collette tour in the future. Even though an optional tour was cancelled due to weather concerns (and rightfully so), the day we spent finding something else to experience was one of my favorite days on the trip. We discovered Montecatini Alto, right about Montecatini Terme where we were staying, and wandered around for a few hours. It was beautiful and not crowded at all. I was very happy with the service received from Collette. The site gave information I was interested in, An introduction letter from our Tour Manager Mario, made me feel that there was genuine interest in ensuring I had the best tour possible. The hotel was good, the sites and guides were fantastic, the people were incredible! I will definitely use Collette again! The tour team,: Tour Manager, the site guides, the bus driver., and of course the destination! I can't state a favourite memory except to say , the tour was worth every penny, The Collette team in Canada but especially in Tuscany made this trip perfect. The trip was exactly what I had always dreamed of when I had planned in my mind of going to Tuscany. It was the perfect blend of exciting, fun, adventurous, relaxing and just plain wonderful ! Going to Siena and learning about the history of the neighborhoods and horse races. Awesome service! The local guides were great; knowledgeable and friendly. My only suggestion is to have smaller groups. Having 45 people in the group was hard to manage. I loved visiting Cinque Terre and the drive through the countryside. The tour was amazing, there were just too many people in the tour. Everything good but hotel and therefore cannot recommend. Thank you for traveling with Collette to Tuscany. A member of the Guest Relations Team will follow up with you. Great trip, great value. Can’t wait to go back to Tuscany! Spotlight on Tuscany was a well organized tour. Being based out of one location with our daily trips to our featured location was a plus. The tour covered a lot of territory in seven days. The coach was comfortable and tour director, Luigi, was excellent. We would definitely recommend Collette to our friends. The Spotlight on Tuscany was a very interesting and educational tour. Although we covered a lot of beautiful territory in seven day, our favorite spot was Cinque Terra. Hotel was in a great location. Our Tuscany trip was excellent. From our tour guide, hotel, places visited and the food everything was " top drawer"! I think every town we visited and the expert guides that told the history from a local point of view were the highlights. For a single traveller, this trip was the best to Tuscany of all the tour companies I looked at. It was the most interesting I have been on because of the variety of experiences on offer. The Tour Manager was very good as was our coach driver and the local guides employed. I should have liked a small break in the morning activities to enable us to have a morning drink together. We were all disappointed that the Tour Manager was not with us on the morning of our departure to see us off as she had been assigned to start another tour before we left. The variety of experiences - cooking class, winery visit, visit to the cheese farm plus the local tours. Wonderful time with Collette in Tuscany! Fabulous guide Mickey! A little too much FYI in towns from guides there. Would rather have had a little more free time. But the guides were very good. Carlo was exceptional in Lucco and at the museum. So interesting! Great time,good guides, great food and weather. Lucca was favorite Our driver was not in Florence to meet us. Airport travel aid and info NOT helpful but a BEAUTIFUL young man called Collette in U S on his phone for us and got arrangements made. This was our second trip with Collette. Both trips were incredible. Everything was prepared to a tee, well thought out and just incredible. But the best if all are the tour guides. So well prepared, informative and incredible personalities. We will definitely be traveling with Collette again and would recommend them to everyone. The ancient towns in the Tuscany region were amazing with their rich histories and the beauty of the countryside will be something that stays with us always. Would love to travel with Collette again. Great guide and very good schedule. Overall, very good, and good tours. The tour guide was awesome. She was pleasant, knowledgeable, patient and make herself available when needed by some travelers. Her partnership with the driver made everyone feel comfortable. The trip was amazing in the beautiful Tuscany area of Italy. All of the cities/villages we toured were all fantastic. My most favorite memory was spending time in Florence. The tour logistics were handled well. Our lead tour guide Alexa did a very good job. The tour was well executed. The visits to the Gothic Line, Siena and the optional tour to Cinque Terre were my most memorable experiences. Reasons for not 5 stars: The hotel was a poor experience and 2 of the 3 optional events were cancelled due to low turnout. Hotel issues: too noisy outside at night, shower barely usable, expected main floor restaurant & bar to be busier (appeared to be past its prime). Thank you for traveling with Collette to Tuscany. Your comments have been forwarded to our Product Development Team. This feedback will be used to enhance this tour for our future guests. Everybody from Collette was friendly and helpful. Most of all, they were all accommodating. Trying to accommodate 40+ people can be challenging and Collette did a great job of it. My most memorable experience of the trip was going to a Tuscany winery and doing a cooking class on how to cook pasta and getting to eat in the wine cellar. The winery staff was super nice and the food was delicious. Yes, I would go with Collette again. They had an outstanding tour with a good tour leader Mariangela. 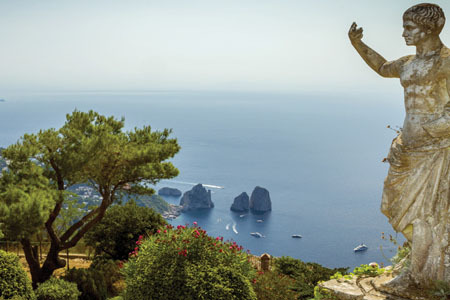 Michelangelo's David was a highlight as well as Cinque Terra and the town of San Gimingnano. Great program manager. Lots of good local history of visited areas. It was very difficult to get an agent on the phone. I ended up emailing because that was quicker than trying to reach via phone. Excellent tour overall. Our tour guide was the highlight. Everything was awesome. All arrangements and tours were great. Very informative and organized. Pisa was my favorite. Over all the trip was good. The flights could have been better by only having 1 lay over instead of 2 in each direction. The biggest complaint we had was the package included pick up at all airports and when we arrived in Italy our driver wasn't there to meet us, we had to wait 40 minutes for our ride to the hotel. When we arrived home our pick up was 30 minutes late. Every city we visited was great. The tour guides did a great job. Hello, Judy. Thank you for sharing your experience with the airport pickup and drivers. We have passed this along to our team for review. We appreciate you and look forward to traveling with you again soon! Loved Florence because of how easy it was to navigate. I never felt lost there. *Personal details removed by Feefo* Our travel guide was amazing! He sent a pre-tour itinerary, kept us updated and safe. All guides in every city were knowledgable and helpful. Needed more time for "on our own" exploration. Cinque Terre and overlooking the cities from towers and uphill. Our tour guide was wonderful. The excursions were as described. Do take the difficulty ratings seriously. There was quite a bit of strenuous walking involved in this 4-rated tour. Great fun. I'd do it again. Well paced trip. We liked the fact that we stayed in one hotel. Probably the favorite experience was the optional Tuscan cooking class. But we enjoyed also the day in Lucca, one of our favorite places. 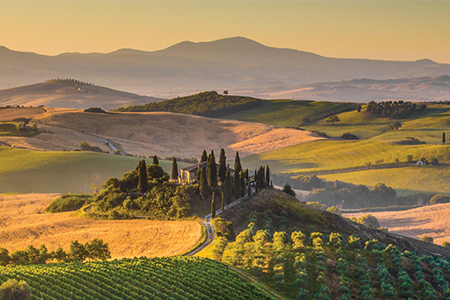 We picked this tour because we wanted to see Tuscany and we did. *Personal Details removed by Feefo* was a great tour manager and *Personal Details removed by Feefo* was a great bus driver. The tour was everything we hoped it would be. We arrived back home and booked another Collette tour. The service is top notch from the first contact on the reservation inquiries throughout the trip. We loved staying in one location and day-tripping out for more adventures! The Cheese factory visit was not as expected, no actual look at their operation. However the lunch was quite good, and the country side trip was appreciated. The first night dinner was a disgrace for such a hotel and did not meet our expectations considering Collette's reputation. See previous comments re the overall tour. Lucca wins! The highlight was this charming town within medieval walls! Cinque Terre--interesting area! And the Tuscan countryside was wonderful! Great trip! This was my first trip with Collette .....I had no idea there would be 38 people but it all moved along smoothly! Our tour guide is a delight to work with. 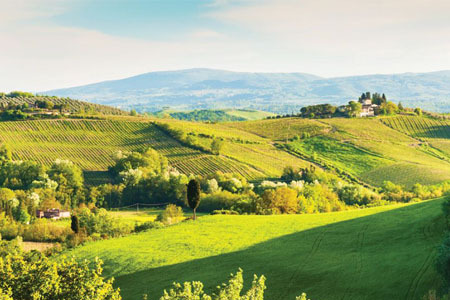 Discover the rolling hills of Tuscany as you take a relaxing sojourn through the vineyards, medieval towns, and enchanting cities of Florence, Siena, Pisa, and San Gimignano.